Do you have photos, historical accounts or other items pertaining to the Sleepy Eye area? Would you like to share this historical information with the world? LakesnWoods.com would like to publish your Sleepy Eye photos (current or historical) or historical accounts on this website. Original materials can be returned and your privacy will be respected. 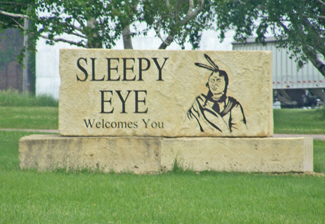 Sleepy Eye is a city in Brown County, Minnesota. 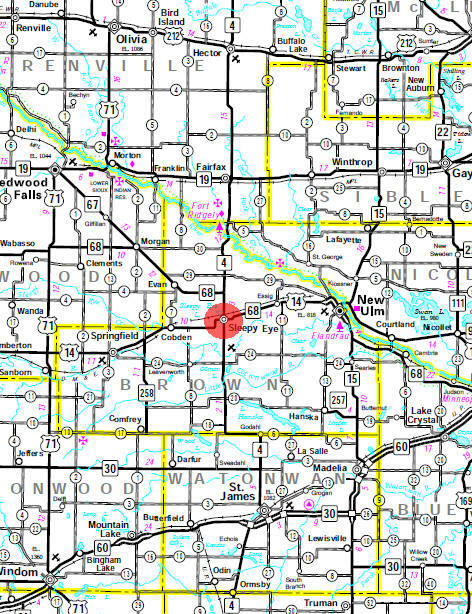 U.S. Route 14 and Minnesota State Highways 4, and 68 are three of the main arterial routes in the city. 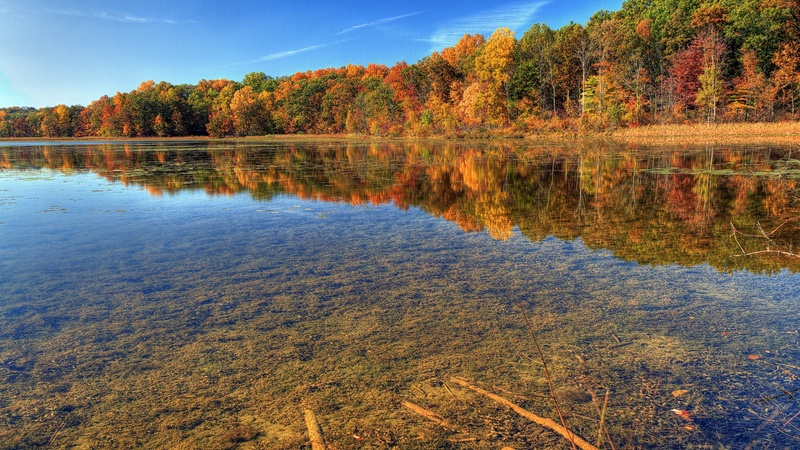 According to the United States Census Bureau, the city has a total area of 2.02 square miles (5.23 km²), of which, 1.75 square miles (4.53 km²) of it is land and 0.27 square miles (0.70 km²) of it is water. The elevation is 1,024 ft (312 m) above sea level. As of the census of 2010, there were 3,599 people, 1,475 households, and 931 families residing in the city. The population density was 2,056.6 inhabitants per square mile (794.1/km2). There were 1,605 housing units at an average density of 917.1 per square mile (354.1/km2). The racial makeup of the city was 94.3% White, 0.1% Native American, 0.9% Asian, 4.1% from other races, and 0.7% from two or more races. Hispanic or Latino of any race were 13.0% of the population. There were 1,475 households of which 30.1% had children under the age of 18 living with them, 51.4% were married couples living together, 8.3% had a female householder with no husband present, 3.4% had a male householder with no wife present, and 36.9% were non-families. 33.4% of all households were made up of individuals and 17.8% had someone living alone who was 65 years of age or older. The average household size was 2.36 and the average family size was 3.04. The median age in the city was 42.2 years. 25.6% of residents were under the age of 18; 6.5% were between the ages of 18 and 24; 21.1% were from 25 to 44; 27.3% were from 45 to 64; and 19.4% were 65 years of age or older. The gender makeup of the city was 47.4% male and 52.6% female. As of the census of 2000, there were 3,515 people, 1,479 households, and 942 families residing in the city. The population density was 2,099.9 people per square mile (812.7/km²). There were 1,591 housing units at an average density of 950.5/sq mi (367.8/km²). The racial makeup of the city was 94.03% White, 0.23% African American, 0.06% Native American, 0.34% Asian, 3.90% from other races, and 1.45% from two or more races. Hispanic or Latino of any race were 7.80% of the population. There were 1,479 households out of which 31.8% had children under the age of 18 living with them, 53.3% were married couples living together, 7.3% had a female householder with no husband present, and 36.3% were non-families. 34.5% of all households were made up of individuals and 19.8% had someone living alone who was 65 years of age or older. The average household size was 2.37 and the average family size was 3.08. In the city the population was spread out with 28.0% under the age of 18, 6.8% from 18 to 24, 26.0% from 25 to 44, 19.9% from 45 to 64, and 19.3% who were 65 years of age or older. The median age was 38 years. For every 100 females there were 92.5 males. For every 100 females age 18 and over, there were 87.3 males. The median income for a household in the city was $37,123, and the median income for a family was $48,500. Males had a median income of $31,612 versus $22,907 for females. The per capita income for the city was $20,175. About 4.7% of families and 8.1% of the population were below the poverty line, including 10.7% of those under age 18 and 10.2% of those age 65 or over. SLEEPY EYE, the city and railway junction in Home Township, platted by Thomas Allison and Walter Brackenridge as Sleepy Eye Lake, September 18, 1872, incorporated as a village February 14, 1878, and as a city in 1903, was named, like the adjoining lake, for a chief of the Sisseton Dakota. The post office was called Prairieville, 1871-72, when it was changed to Sleepy Eye. Businesses included a brewery, marble works, grain elevators, creameries, and mills; a Catholic seminary was located there, and a station of the Chicago and North Western was in section 32; a plant for canning peas and corn began operation in 1930. Sleepy Eyes's favorite home and village during some parts of many years were beside this lake. He was born near the site of Mankato; became a chief between 1822 and 1825; signed the treaties of Prairie du Chien, 1825 and 1830, of St. Peter's in 1836, and Traverse des Sioux, 1851. 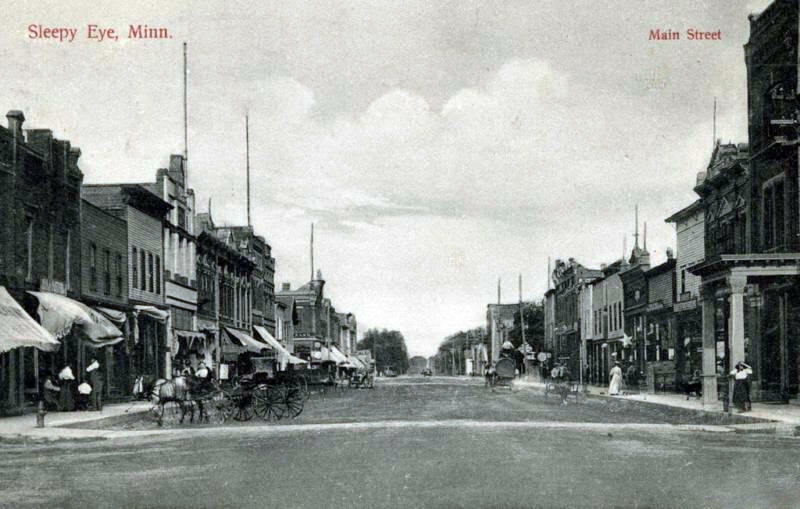 Doane Robinson wrote: "Sleepy Eyes died in Roberts county, South Dakota, but many years after his death his remains were disinterred and removed to Sleepy Eye, Minn., where they were buried under a monument erected by the citizens" (Hodge, Handbook of American Indians, Part II, 1910). The monument, close to the railway station, bears this inscription beneath the portrait of the chief in bas-relief sculpture: "Ish-tak-ha-ba, Sleepy Eye, Always a Friend of the Whites. Died 1860." An interesting biographic sketch of "Sleepy Eyes, or Ish-ta-hba, which is very literally translated," by Rev. Stephen R. Riggs in the Minnesota Free Press, St. Peter, January 27, 1858, is reprinted in the Minnesota History Bulletin, vol. 2, no. 8, pp. 484-95, November 1918. Sleepy Eye Medical Center is an independent hospital owned and operated by the City of Sleepy Eye. 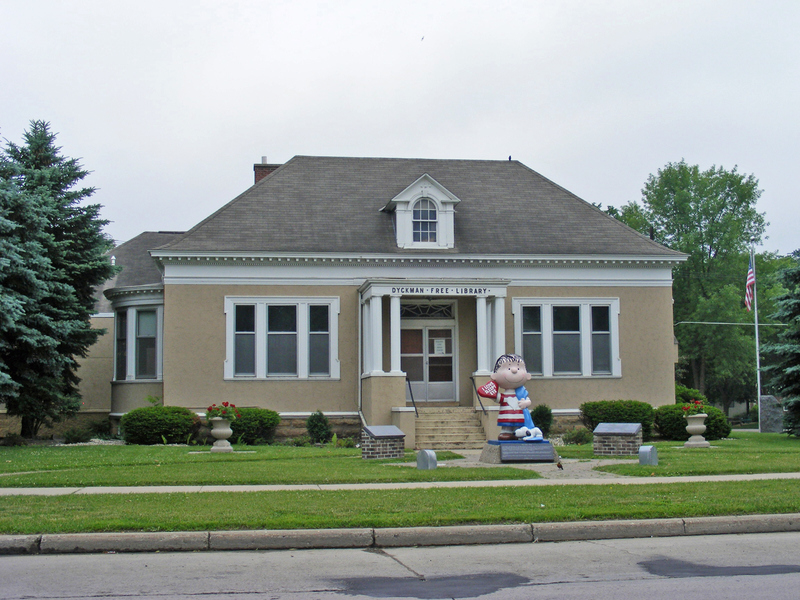 The original 28-bed Sleepy Eye Municipal Hospital got its start in March of 1941 when the City Council issued a $75,000 bond for its construction. The hospital then opened in 1942. Over the years, several renovation and expansion projects have taken place, allowing Sleepy Eye Medical Center to meet the ever-changing health care needs of Sleepy Eye and the surrounding communities. Many of these projects were made possible through the support of local donors. After more than 75 years of exceptional care, our commitment to quality care continues as our team of compassionate, highly-trained employees strive to improve the lives of patients every day. Welcome to the AmericInn Hotel & Suites Sleepy Eye, Minnesota. We know there’s no place like home, but with our newly updated furnishings, room décor, flat screen TV’s and cozy Serta® Perfect Sleeper beds, the AmericInn Sleepy Eye will feel like your home away from home. Our Sleepy Eye hotel offers a variety of room types including suites. Wake up each morning to our free, hot, home-style AmericInn Perk breakfast and stay connected with free, hotel-wide, high-speed internet. Guests also enjoy our inviting, indoor pool and hot tub. The AmericInn Sleepy Eye hotel is conveniently located on Main Street, right on the outskirts of Sleepy Eye, Minnesota. The hotel is just minutes from downtown Sleepy Eye and is connected to the Sleepy Eye Convention Center. I believe there's more to insurance than just a policy - it's about protecting the people and things that matter most to you. So no matter how life changes, I'm ready to provide the caring support and dependable service you deserve - from your home, to your car, and everything in between. Anytime Fitness of Sleepy Eye, MN, is the fitness center that will fit your busy lifestyle. You can exercise any time using your own security-access key! That’s 24 hours a day, 7 days a week, 365 days a year. Whether you're new to working out or a fitness regular, we've got the right staff, state-of-the art equipment, and services to meet your needs. It doesn't cost a lot to achieve your health and fitness goals! We offer training, tanning, massages and insurance reimbursements. NO MORE EXCUSES! Sleepy Eye Repair is a proud member of the Auto Value certified service center network. Our 3,500 certified repair facilities stretch throughout the United States and Canada. We’re there for you, anywhere in North America with our Safe Route Roadside assistance program. If you’re out of gas, or if the keys are locked in the car, need help with a flat tire, or when you need a jump or a tow – We’ve got your back! We are just a toll free phone call away – 877-230-0369. BCA Products has specialized in manufacturing lawn fertilizers and ice melt products in the Midwest for over 30 years. We focus on blending custom fertilizers for professional lawn care services, golf courses and retail distributors through branded and private label products. Whether you are a grounds manager at a golf course or for a front yard, we can manufacture a variety of organic, blended or liquid fertilizers to your request and package it in many different sizes and quantities. In addition to blending custom fertilizers, we also concentrate on creating a variety of ice melt products to make dealing with ice and snow as convenient as possible. 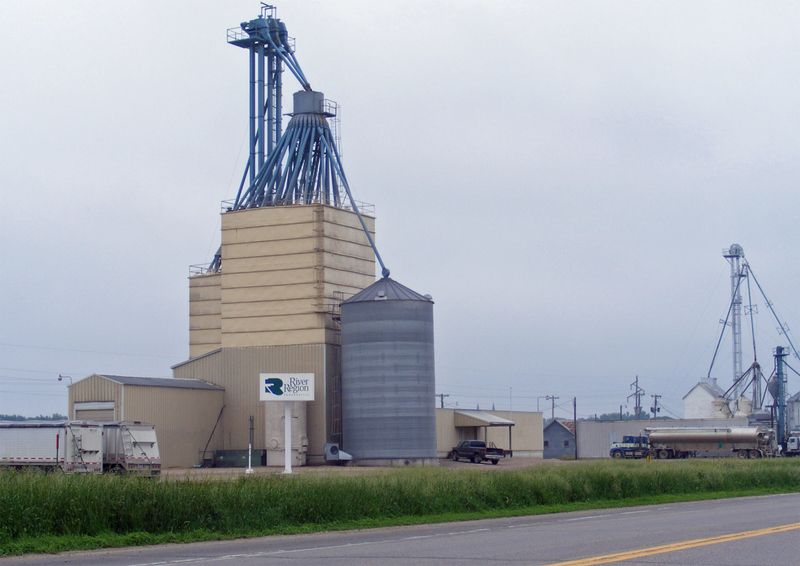 Our legacy dates back to 1906, when local farmers who were disappointed in private grain merchants formed one of the first farmer-owned coops in Minnesota, making it clear that they would be true to their own needs. Their loyalty would be to each other. To date, Central Region Cooperative still operates under that philosophy to exclusively serve the needs of our members and to protect, grow and responsibility revolve member equity. The cooperative looks to serve the needs of today’s producer and looks forward to the developing needs of producers in the future. 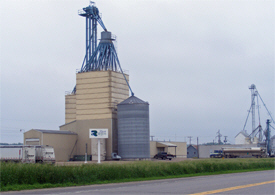 Headquartered in Sleepy Eye, Minnesota, Christensen Farms is one of the largest, family-owned pork producers in the United States. With nearly 1,000 employees and 1,500 contract partners, our company spans across the Midwest to include facilities in Minnesota, Iowa, Nebraska, Illinois and South Dakota. We currently operate four feed mills, manage 145,000 sows on 44 farms, and oversee more than 350 nurseries and grow-finish sites. 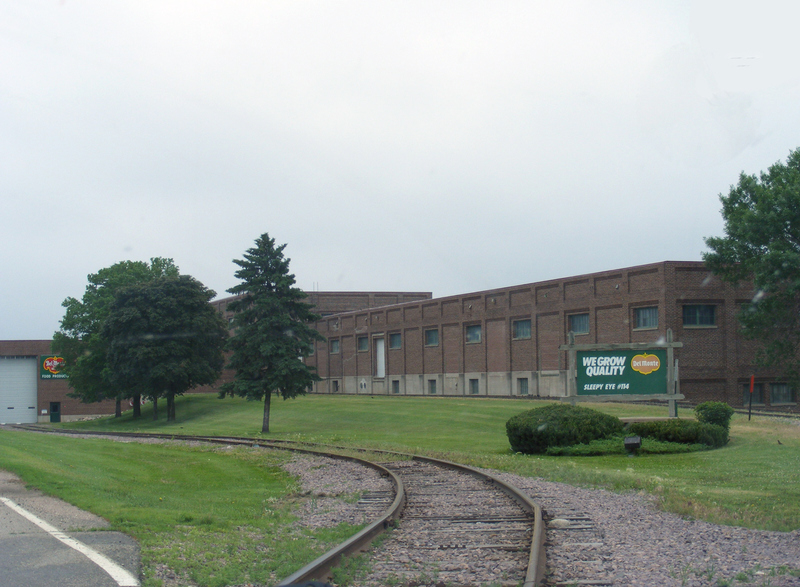 Our locations, in New Ulm and Sleepy Eye, MN are well known as two of the premier dealerships in the area. From the moment you walk into our showroom, you'll experience our commitment to customer service as second to none. We strive to make your relationship with Chuck Spaeth Ford a great one for the life of your vehicle. Whether you need to purchase, finance, and/or service a new Ford or pre-owned car or truck, you've come to the right place. Call (888) 710-3801 for your No-Obligation Internet Price Quote. 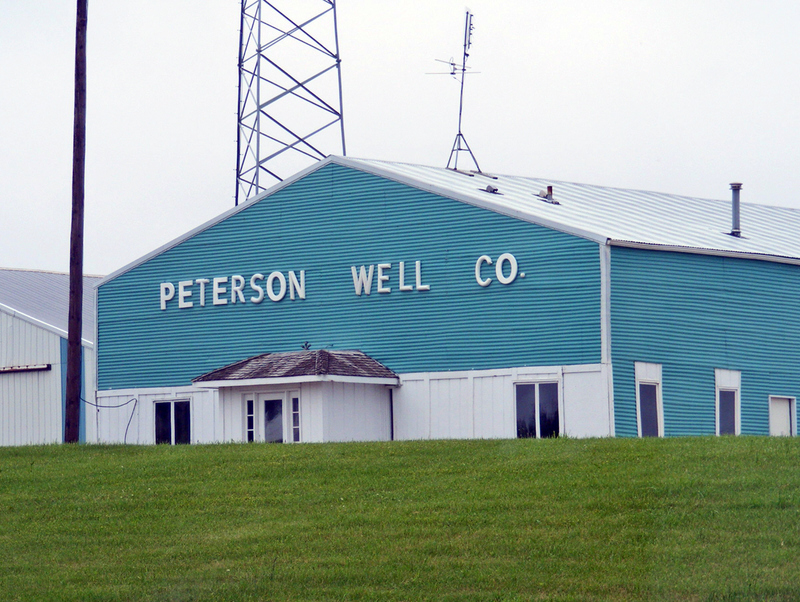 Or stop by one of our locations in Sleepy Eye and New Ulm. As an Edward Jones financial advisor, I believe it’s important to invest my time to understand what you’re working toward before you invest your money. It's also important to understand the level of risk you're comfortable accepting when investing so we can balance it with the steps necessary to reach your long-term goals. Whether you're planning for retirement, saving for college for children or grandchildren, or just trying to protect the financial future of the ones you care for the most, we can work together to develop specific strategies to help you achieve your goals. Haala Industries, Inc. was founded in 1974 and grew its first roots servicing the metal fabrication and repair needs of the local community. It has since developed into a leading innovator and manufacturer of metal fabricated products for a variety of customers. We offer: fabricated rebar products, wire cone cages, flared end cages, trash guards, safety grates, pipe ties, barrier pins, pond skimmers, custom grates and guards, lift bars/cables and stud welding to name a few of the services we provide. In Sleepy Eye - MN we celebrate the achievements of every student, at any skill level. Our dance classes provide young dancers a learning environment focused on team work, proven dance technique and confidence building. Committed to youth dancers advancement through performance, we believe in every student. Backed by 35 years of experience, our dedication to enabling dancers to shine creates a learning environment like no other. Thank you for being a friend, a neighbor, and a partner - we value our relationship with you and appreciate your patronage. Our Promise to You: To be a company you can count on. We strive to deliver superior results, push further, and do what we say we're going to do - every single time. To foster an environment for success - for you and for our employees - by surrounding ourselves with the very best products and people. Krenz Real Estate & Auctioneering, Inc. was founded in 1946 by my father, Ferdinand Krenz in the community of Sleepy Eye, Minnesota. Krenz Real Estate was founded on trust, honesty and integrity. Ferd believed in listening to his customers and treating them like family. He said, "everyone has a story, if they want to tell it, let it be shared". My father taught me a lot about life, the real estate business and how to be an auctioneer. "Ferd" was known as "The Colonel" in the auction industry in Southern Minnesota. He showed me how the auction and real estate business work hand in hand. Your eyes are your window to the world. We can make your vision as sharp as possible with the latest technology in diagnostics and lenses. You can get a prescription anywhere, but at Lifetime Eyecare Center you'll get what's best for you. You'll be amazed at the difference. You can look really good while seeing really well. Imagine yourself in one of our designer frames. An artful detail can turn heads and bring out your best features. The Mathiowetz Construction Company is proud to be one of Minnesota’s premiere earthwork and construction management contractors. Our staff of professionals deliver earthwork projects of all sizes and scopes from small railroad sidings and farm tiling, up to large grain loading sites and dairy barns and industrial sites. There is no project that we can’t handle. Sleepy Eye Minnesota Dealer for Case IH, Cub Cadet, Can-Am and Ski-Doo is Miller Sellner; your source for new and used tractors, combines, planters, tillage, sprayers, and hay equipment serving Brown, Cottonwood, Nicollet, Blue Earth, Watonwan, Martin, Jackson, Murray, Lyon & Redwood Counties. More than 85 years ago, the National Automotive Parts Association was founded to meet America¿s growing need for an effective auto parts distribution system. NAPA has been the industry leader ever since and an invaluable partner in the flow of parts from manufacturers to NAPA AUTO PARTS Stores. Enjoy the convenience of one provider for all your communication and entertainment needs in Sleepy Eye. Choose the services that are right for you including Digital TV, High-speed Internet, voice and wireless phone. NU-Telecom also offers a variety of money-saving bundles! O N R National Inc.
At Pat Lowther Law we understand your estate represents the values and traditions you hold dearly. If you own family farmland, a family business, a home or cabin, then a well-crafted estate plan will help protect your assets from nursing homes, divorce, creditors, predators, probate, and death taxes. Our estate planning services will will help you create a fair family succession plan, divide wealth and land fairly between your children or heirs, and eliminate estate taxes in Minnesota. We help you set up Revocable Living Trusts, Irrevocable Trusts where needed, Limited Liability Companies, General Durable Power of Attorney (for finances), comprehensive Health Care Directive (for medical decisions), and an up-to-date HIPAA Authorization which allows your family to talk to doctors in case of your incapacity. 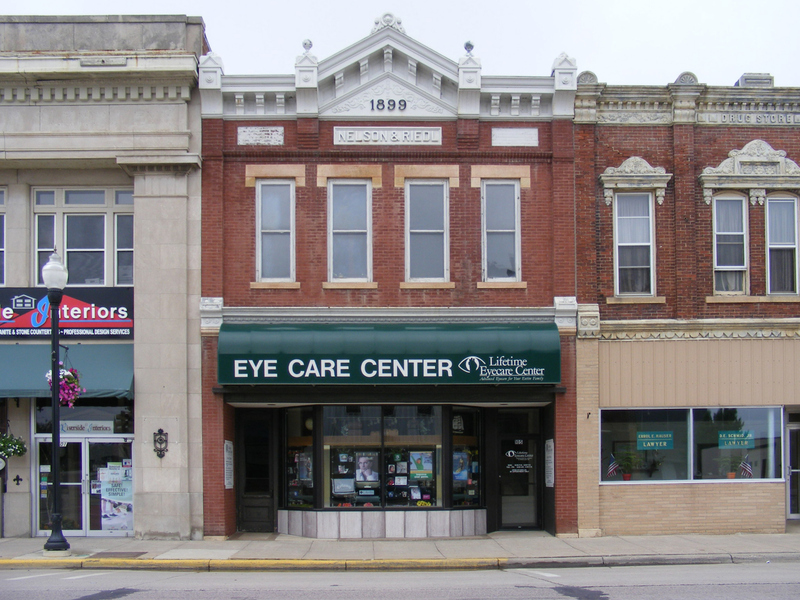 We've been proudly serving the community of Sleepy Eye and the surrounding area since 1987. Our dedicated pharmacists have 95 years of combined experience and our friendly staff will treat you like family. Here at Randy's Family Drug, we are dedicated to providing our customers with services that are customized to meet their needs. We also have an extensive Gift Shop with Hallmark, Willow Tree, Yankee Candles, and more! Whether it’s prescription medications or over the counter products, we are here to answer any and all of your questions. Riverside Animal Clinic provides veterinary services for livestock & pets in three convenient locations. The Springfield location also has pet boarding available by appointment. Welcome to Ross Park Apartments! We are a smoke-free, pet friendly, and convenient rental opportunity offering comfortable, secure housing for those on a limited income. Ross Park Apartments is a 45-unit, HUD-subsidized apartment building located on a large, beautifully landscaped city block in a quiet neighborhood, just a few blocks from downtown Sleepy Eye, MN. A variety of flowering trees, shrubs, and perennials compliment the building and patio areas. We are your local community connection for high quality foods, friendly service and great prices. Our family-owned store offers a convenient one-stop shop where you can find everything you need from the everyday essentials to specialty items from around the world. Our friendly staff is here to help you find exactly what you're looking for and to offer you assistance regarding all the products we carry. We take pride in our community and appreciate your business. We know that you have many options for food purchases and want you to know that we're working hard each day to continue to earn your business. The Sleepy Eye Ambulance Service is a basic life support service that currently has 19 Minnesota Certified EMTS and 2 Minnesota certified First Responder who offer coverage 24/7. Other services offered to the community include CPR, First Aid and AED (defibrillator training) initial and refresher classes. Sleepy Eye Auction Market has been a family owned business for 68 years serving the south central Minnesota. True market values can only be established through competitive bidding at public auctions therefore we invite you to bring your livestock to our facility every Wednesday and let them all bid. Our unique team specializes in custom fabrication, restoration, and the installation of stained glass. For over 30 years, we have worked with architects, interior designers, and individual customers on projects in churches, buildings, private homes, and memorials. 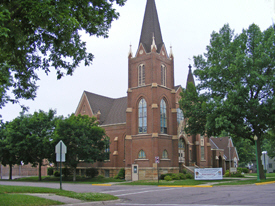 Our store carries and sells one of the largest selections of stained glass and stained glass supplies in Minnesota. We believe that no project is too large or too small. If you have a stained glass project or idea, call or visit our shop. One of our friendly staff members will be happy to help you with any of your stained glass inquiries. 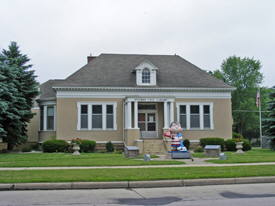 Stark Farmers Mutual Insurance Company was established in 1884. 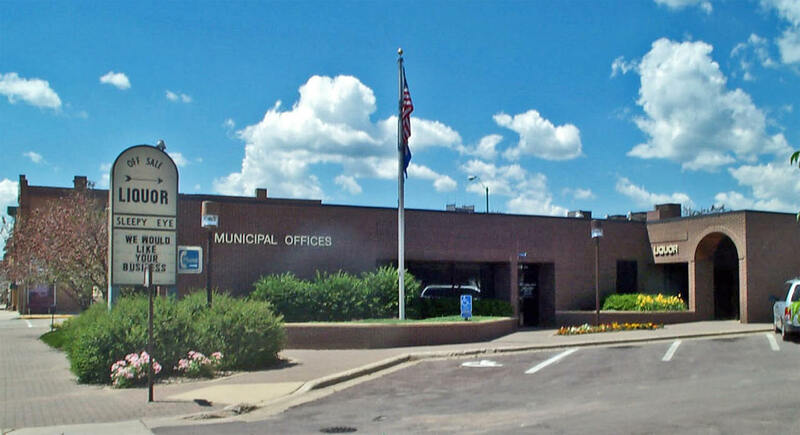 It’s our goal to provide a competitive insurance product for the people in south central Minnesota with sound investments, reinsurance program, and to give policy holders the protection and peace of mind they deserve for their premium dollar. At Sunrise Manor we are committed to providing the services that make our community a place you will be proud to call home. With our convenient location and spacious yet affordable bi-level townhomes, who could ask for more? Established in 1872, Sleepy Eye was named after the beautiful lake that borders the North and West sides of the city. Today Sleepy Eye offers specialty shops, from crafts to groceries, gifts, and fine furniture. Its unique business opportunities, quality of life, and first-rate education make Sleepy Eye a great place to live!